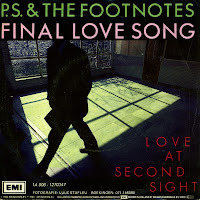 I bought 'Final love song' a long time ago, but I was aware of another single by PS & the Footnotes, the Dutch band that never found fame despite a short-lived record deal with EMI. 'No commitments' was also released in 1984 and was equally unsuccessful in the Dutch Top 40. 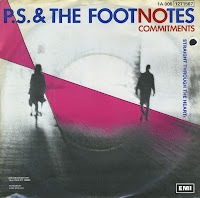 The Dutch band PS & the Footnotes is not so wellknown. Their first single, 'Final love song', never reached the charts in the Netherlands, and other singles went the same way. No wonder, then, that their records were never released on cd. It's a shame, because 'Final love song' is a beautiful track. It makes one wonder whether they recorded more stuff like this.